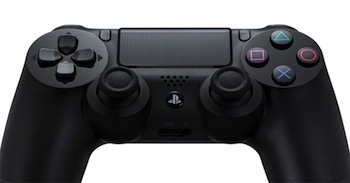 Sony worked with consumers and developers to get the DualShock 4 just right. Sony consulted with "major FPS developers" while designing and testing the PS4's DualShock 4 controller, according to Sony's Mark Cerny. Speaking with IGN this week at Tokyo Game Show, Cerny explained that Sony was sending their ideas to certain unnamed developers looking for their input on specific issues while testing a "ridiculously broad" range of prototypes. "We sent out prototypes to major FPS creators," said Cerny. "We looked at the top-selling titles, if they were people we could talk to, we began sending over a stream of controllers. And we would ask them things like concavity or convexity, or trigger pressure, or trigger location, or accuracy, or the like." Given the continued popularity of games like Call of Duty and Battlefield, it makes sense that Sony would prioritize making a console compatible with first-person shooters. Though many DualShock 4 prototypes were tested by consumers, Cerny said the developers' influence extended beyond feedback: "It was extremely helpful to have the designers of some of the top FPSes on our controller design project." PS4 is expected to have four FPS titles available at launch: Call of Duty: Ghosts, Battlefield 4, Killzone: Shadow Fall, and Blacklight: Retribution.